Huffington Post published one of my recent blog posts from last week. 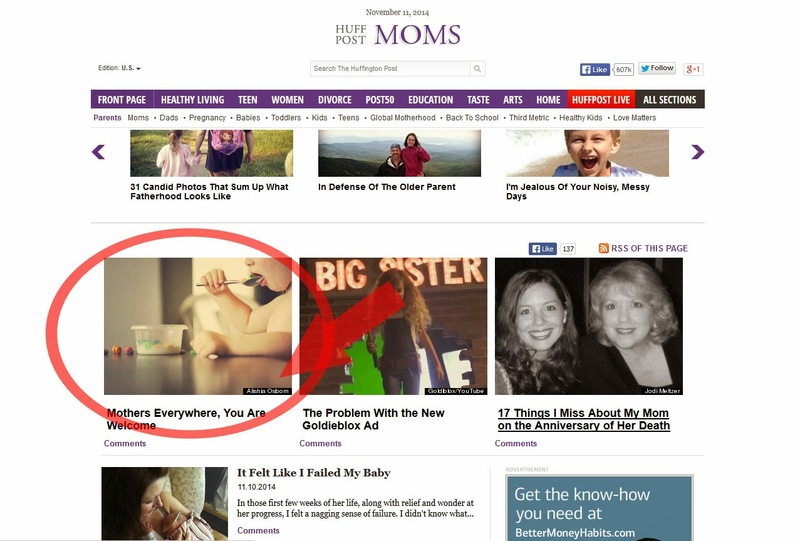 It made it to the front page of Huff Post Moms! Mothers Everywhere, You Are Welcome. If you have a chance to like and share the article via Huff I would love you forever. I shared it on FB! 🙂 I’m so proud of you! this is sooo coool!!!!! I insist… you are famous!!! Congrats and enjoy your stardom! ack! That makes me blush! Thank you! !